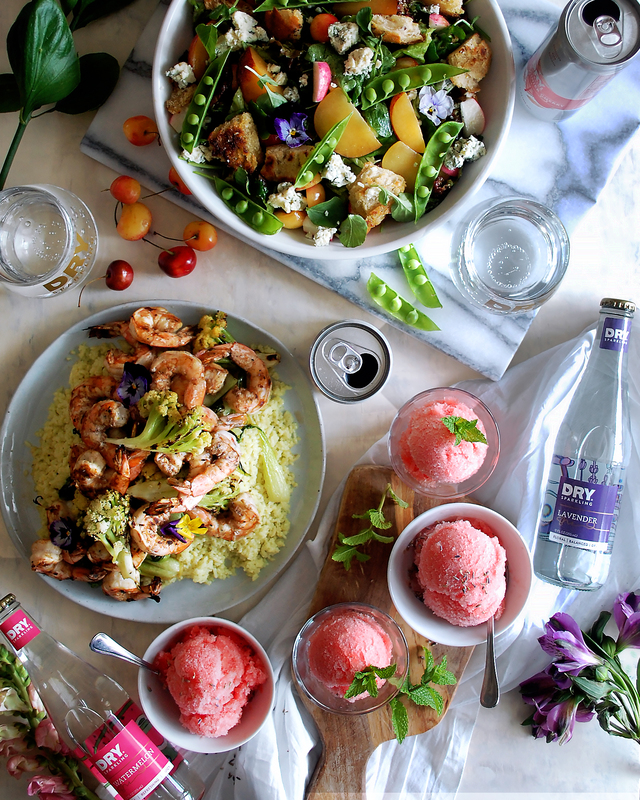 A beautiful summer menu with three courses, each one using and paring with a different DRY Sparkling soda. I am beyond excited to share this guest blog post that I wrote for DRY Sparkling. 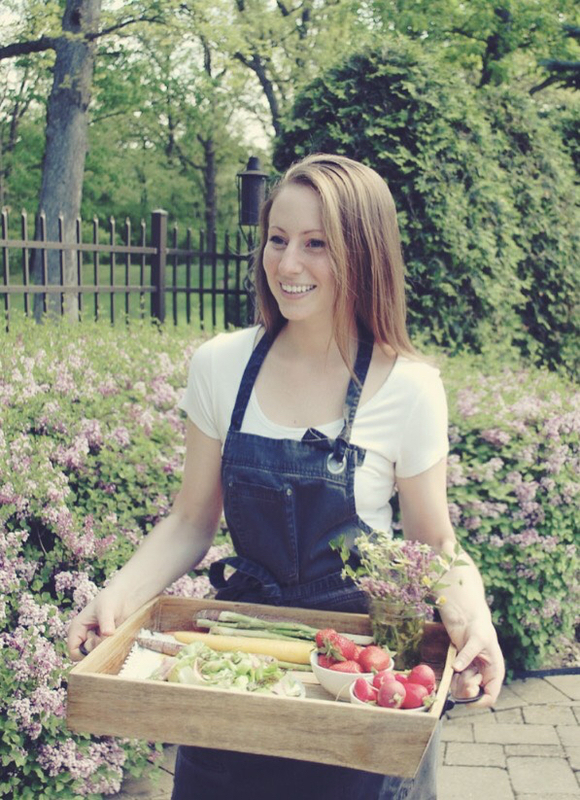 It’s a summer menu full of vibrant dishes and perfect soda pairings. I am so in love with these sodas. They’re unique, minimal, and irresistibly refreshing. This salad is rustic and perfect for a crowd. 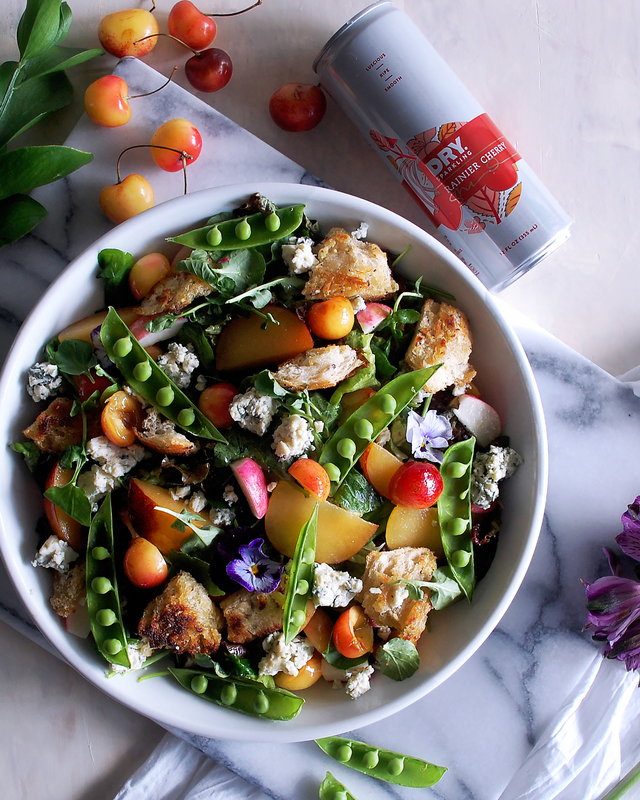 It’s brought to life with a bright cherry vinaigrette, tons of summer produce, and crispy homemade torn croutons. I made a quick ginger marinade to soak the shrimp in before heading to the grill. Really creamy coconut rice and sweet bok choy bring the whole dish together. Watermelon and lavender have become one of my new favorite combinations. 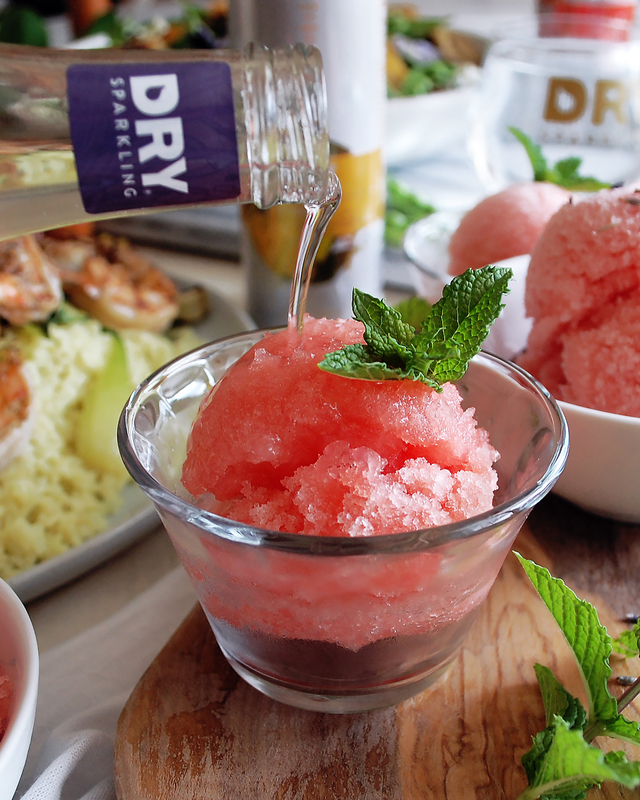 This shaved ice is juicy, fizzy, and oh, so refreshing. 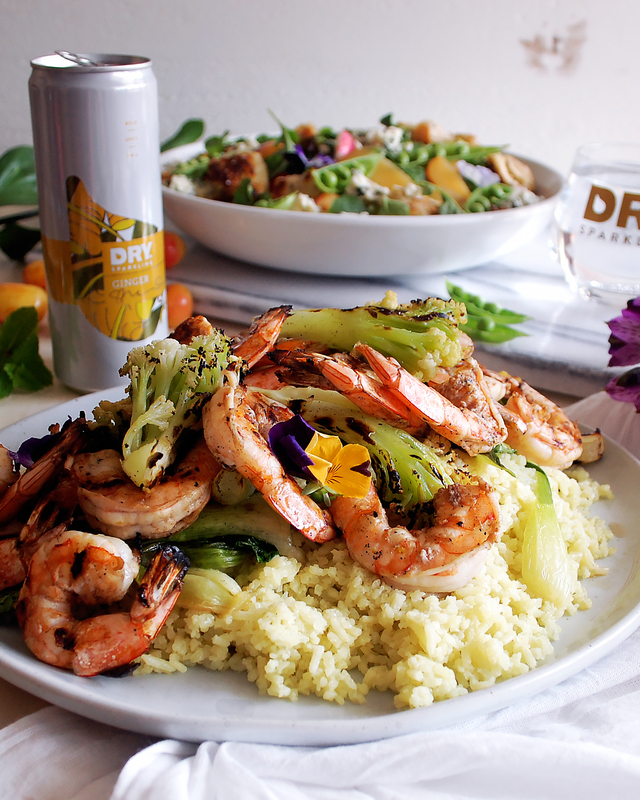 For all of the recipes and full post, head over to DRY Sparkling’s website. Enjoy!